What makes Superman so super? Any takers? It’s not his superhuman strength or the fact that he can fly. It’s not his X-ray vision, supersonic hearing, or cold breath. Superman is super because he’s an undeniable emblem of hope. We humans glom onto him because at our core, we are built to hope. As Emily Dickinson said, hope perches in our souls, and it is always there, even in the midst of our greatest discouragements. To face discouragement, disappointment, and failure and still get back up to chase after a seemingly impossible dream betrays a fortitude in our fabric that needs to be applauded. That’s the emblem of Superman, he’s the epitome of the indelible hope we hold within ourselves. Our ability to hope is what makes us overcomers, or, in other words, superhuman. That’s an imperative we cannot afford to forget. 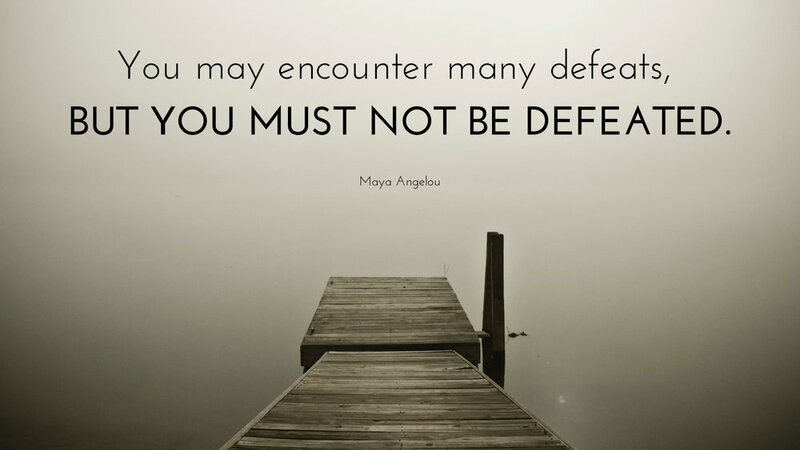 YOU MUST NOT BE DEFEATED. What happens when you refuse defeat as your endgame? Well, I’ll let Dale Carnegie explain. Keep in mind that Dale Carnegie started life as the son of a poor farmer and finished it as a very wealthy and influential man whose life work still influences people today. 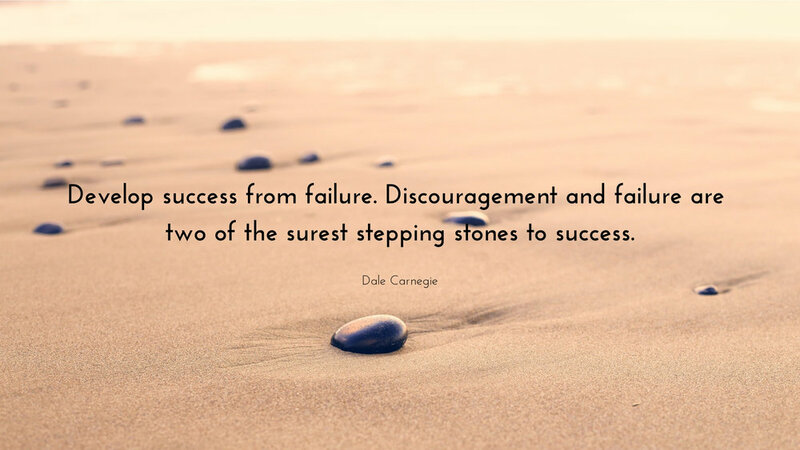 When a man like that talks about the stepping stones to success, and lists those stones as discouragement and failure, you might want to sit up and pay attention because he knows a thing or two about the victor’s mentality. There is no failure. There is only what you have learned. Learning implies progress. Progress is a going onward, a moving or proceeding forward, advance. In the military, when you’re told to advance, it means to go into enemy territory and take ground. So, while you’re learning and progressing, you’re taking ground. 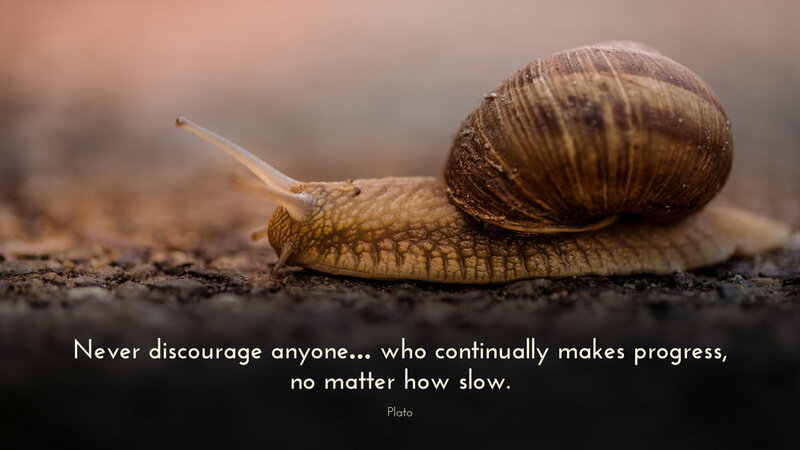 Plato is one of the greatest philosophers of all time. We still study and derive profound truths from his words. So, when he says something, it is best to take it to heart. Even if the going is slow, progress is still taking ground. You know what that means? Our capacity for hope is boundless. Your progress is important. You may never know how it contributes to another person’s, but it will, and that’s why, in spite of all the obstacles, disappointments, failures, and moments of discouragement, you must not lose hope. Like the sun recharges Superman, hope refuels us to step into our future. It refreshes our courage. It restores our soul. To live, truly live, we must hope. In fact, the psalmist exhorts us to pitch our tent in the land of hope. And, do you know what, dear readers? We can pitch our tent in the land of hope because we were built to do just that.